2014 should have been a grand celebration of Walter Trout’s 25th year as a solo artist. Instead Walter Trout has come down with a liver disease that has caused him to spend his time in the hospital waiting for a liver transplant instead of celebrating. 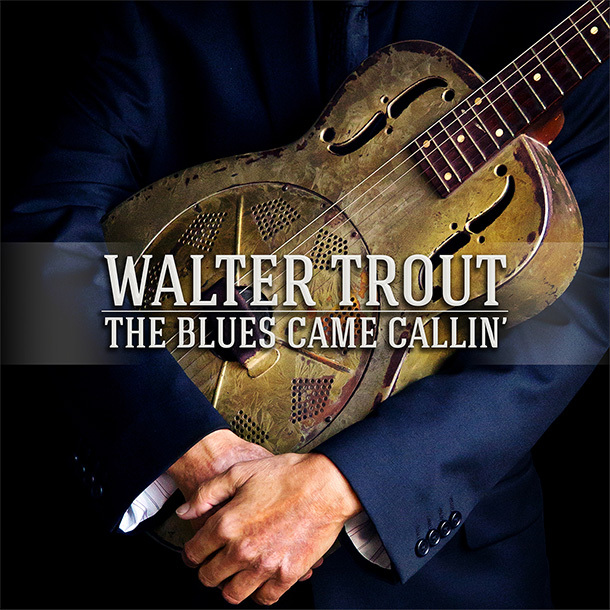 Recorded over the last year, The Blues Came Callin’ is a collection of 12 songs that collects Walter’s thoughts about mortality and life. “Wastin’ Away” opens the album with his typical muscular blues rock punch and squarely deals with Walter’s illness. He’s not going to give up even though he’s lost over 100 pounds due to his liver problem. Things don’t slow down from there as he transitions into the rocking political statement of “The World is Goin’ Crazy (And so Am I).” “The Bottom of the River” starts with a dobro line and a theme about a drowning man who comes to the realization that it’s not time to die and that he needs to fight for the surface. Pertinent subject matter considering what Walter has been through lately. “Take a Little Time” is a ’50s style Chuck Berry sound. Things pick up again with “Willie,” which is a contemptuous indictment about management in the music business. On “Born in The City” Walter again lets the guitar step forward and do most of the rocking. “Tight Shoes” is an instrumental in the style of Freddie King. No one “comes down” with liver disease. Hep-C caused cirrhosis and eventually liver cancer. Walter needed a transplant for a disease he had to have contracted over 30 years ago. I know. I’m a blues harp player who’s now 65 and have liver cancer and end stage cirrhosis. I am so happy to have heard that Walter received a transplant and is doing well with his new liver. I’ll bet he’s back to performing within a few more months.